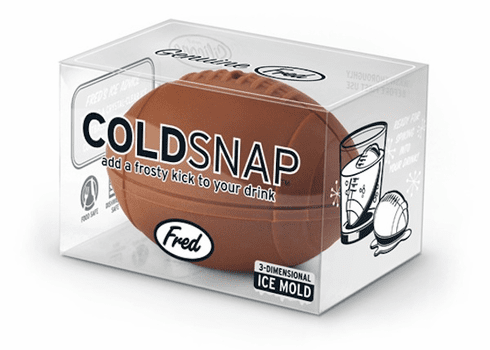 This two-part silicone football mold makes perfect icy pigskins, ready for spiking into your drink. Cold Snap is a touchdown for your iced tea. This dishwasher-safe silicone mold is packaged in a peggable recyclable clear display box.